The last part where he says “…a test, a test, a test…” is the first dot. Late President Gordon B. Hinckley referenced these very words in a talk first given in 1974 (which was then repeated again in 1990) where he concluded: “…I do not know precisely the nature of that test. But I am inclined to think the time is here…” He suggested “that the test lies in our capacity to live the gospel rather than adopt the ways of the world” (Gordon B. Hinckley, A City Set Upon a Hill, October 1974 General Conference). I’ve wondered about these words for several years. Our “capacity” to “live the gospel”, those words seem so basic and simple and perhaps they are. The second dot is that the test is happening now, and has been for the last few decades. President Hinckley may not have “precisely” known the nature of the test but perhaps Isaiah did. The fourth dot was the knowledge of the number three as an indicator of divine emphasis and this passage connected all the dots. As I pondered all the triadic connections between things, the word “test” drew me right back to Heber C. Kimball’s threefold repetition of “…a test, a test, a test…”. This got me wondering if he was just trying to emphasize that a single test was coming or if he was perhaps really stating that a test #1, a test #2 and a test #3 are coming; three tests. Now this is all just pure speculation, but when we look at Gileadi’s analysis of these three tests that Isaiah mentions, I can’t help but see a direct correlation on how these are indeed some of the latter-day tests that we face today. How does one give their allegiance to the archtyrant? A clue may be in the Book of Mormon where it records that the Nephites were deceived by the archtryant of their day who “had seduced the more part of the righteous until they had come down to believe in their works and partake of their spoils, and to join with them in their secret murders and combinations” (Helaman 6:38). What the law cannot extract from the people it goes into debt for and we become the debtors. As governments borrow more and more from private central banks, the people become more deeply enslaved and don’t even realize it. The people may temporarily see benefits but immoral systems of plunder are unsustainable and economies and civilizations collapse as the plunderers concentrate wealth and power unto themselves. I suggest a good reading of “The Law” by Frederic Bastiat to gain a clear understanding of this principle. Do we partake of the spoils of this plunder? Do we vote for representatives and laws that support this plunder? Is our allegiance with the Archtyrant? “Will Israel worship things made by human hands, or will she worship God, her Maker? If she worships idols, she will find that focusing on material pleasures causes spiritual blindness, and in the end she will come away empty-handed. But if she worships God and serves him, he promises to bless her now and always. That is the only way she can come to know God. She has only to put that to the test” (p.27-28). Perhaps our idolatry falls within the spectrum of excessive attachment? Addictions plague our generation and we are surrounded constantly by “material pleasures” and “things made by human hands”. News, TV shows, radio, websites, all are filled with marketing messages seeking to sell you the latest and greatest new products. There is an endless amount of things to buy, own and cherish. Whereas 100 years ago, how many things did you really need? How many shiny new trinkets were there to lust after? But maybe it isn’t about trinkets. Maybe our idolatry is based in the desire for wealth and the comfort and protection that mammon brings. What will happen to us if we don’t have money or savings for the future? What will happen if I don’t leave my family to slave away for extra hours at the office to build a mighty reserve as my source of providence? I’m not saying that working hard and savings are bad, but do we pursue them without remembering the source of all blessings? Jesus Christ taught us to pray “give us this day our daily bread…” (Luke 11:3) which I believe is a reference to the manna that fed the children of Israel in the wilderness. Exodus 16 tells the story of this heavenly bread that was found on the ground each morning. The Israelites were allowed to collect as much as they needed individually and not allowed to save any for the next day except for the day before the Sabbath. If they attempted to save any for the next day, perhaps in fear of there being none tomorrow, then it would rot and be filled with worms. Is there a lesson there for us? If Jesus Christ was referencing manna then the rest of the Sermon on the Mount goes right along with this idea. Jesus taught the following principles that I believe can help us avoid latter-day idolatry. Ponder the following words and pay attention to the parts that might make you feel uncomfortable; I have found that this is a good way of discovering things that I need to address in my life. Consider the ravens: they neither sow nor reap, they have neither storehouse nor barn, and yet God feeds them. Of how much more value are you than the birds! And which of you by being anxious can add a single hour to his span of life? If then you are not able to do as small a thing as that, why are you anxious about the rest? And do not seek what you are to eat and what you are to drink, nor be worried. For all the nations of the world seek after these things, and your Father knows that you need them. Instead, seek his kingdom, and these things will be added to you. “Fear not, little flock, for it is your Father’s good pleasure to give you the kingdom. Is fearing tomorrow an indicator that we do not trust or know God? How can one fear tomorrow if they know God? Because of this fear of tomorrow and lack of trust in God cause us to instead place our trust in the quest for mammon to clothe and protect us? Is mammon then our protector and our god? The third test requires that we live very close to the spirit so that we can have discernment. “And upon my house shall it begin, and from my house shall it go forth, saith the Lord; First among those among you, saith the Lord, who have professed to know my name and have not known me, and have blasphemed against me in the midst of my house, saith the Lord” (D&C 112:25-26). The Lord cleans his house and the nations of the earth every now and then as we see from the scriptures and it will happen again in the future. I don’t have any clue on how this cleansing will occur and who it will involve, but one thing is for sure, the Church and the nation will be affected. Now I want to be clear here, I am not advocating that anyone should be seeking to discern where this line of separation will occur. As for the Church, it is God’s Church and he will take care of it. I personally feel that our business is to focus on the beams in our own eyes so that we can see clearly and not be deceived. 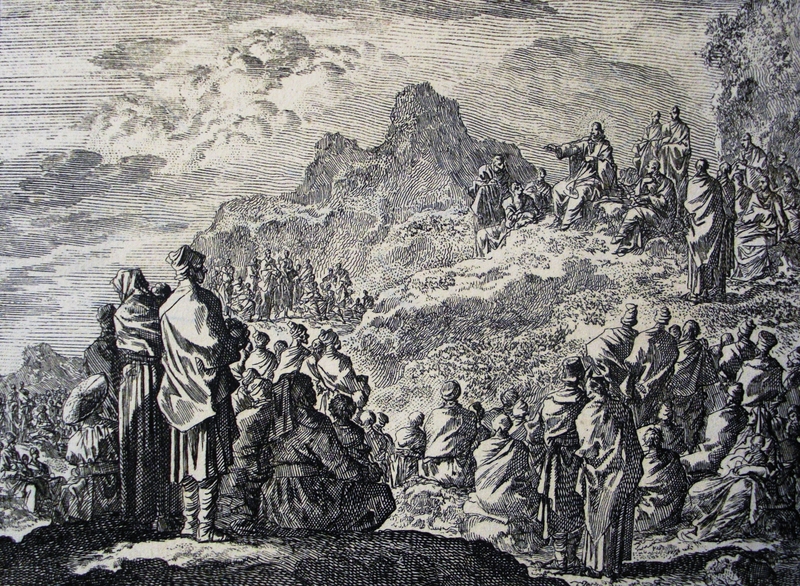 According to Avraham Gileadi, Isaiah prophesied of three tests that those living in the latter-days would have to pass. Could Heber C. Kimball’s contemporary warning of a great test and his repetition of “…a test, a test, a test…” be a subtle allusion to the same three tests revealed by Isaiah? Although certain aspects of these tests might not yet be in their total fulfillment, is there any doubt that Isaiah’s three tests are before us today? You’ve made some excellent and interesting connections. I have a few of Gileadi’s books since I’ve always been one who enjoys digging into Isaiah. Personally, I wouldn’t be surprised that there could be a connection between Heber C. Kimball’s prophecy and Isaiah. Kimball was a deeply prophetic man. He truly was according to those who knew him best. I believe that Brigham Young once said something along the lines of “Heber C. Kimball is my prophet.” I recall another statement that suggested that Kimball was second only to Joseph Smith in his prophetic gifts. There is a flow of truth and some great men have dipped into it. Thankfully we have their words as a guide as we seek to find refreshment from the same waters. This is great Steve. Want to cross-post it at RI? I have many, many comments to make and I’d love to have the conversation right out there, especially following Stephen’s post on lies. I can’t tell you how strongly I feel that Satan has used socialism to co-opt the natural inclination we have to succor the poor and turn it instead as a tool to hate the poor. Want to post this Friday? Sure, I’ll post it. I feel the same way you do which is why I put up ONUP.us so I could refer anyone sympathetic to the views of socialism or plunder. 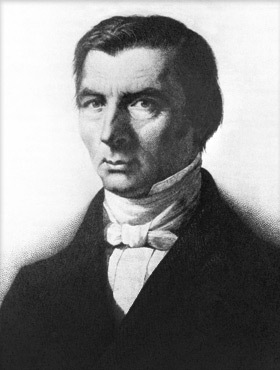 You can read or listen to “The Law” by Bastiat. He absolutely destroys socialism. Love your articles! Thank you. Hey, thanks, glad you found something interesting, feel free to add your own insights, I like hearing what others think. Many times people will leave really interesting words of wisdom. One of the best quotes I have ever heard came from a commenter here on this blog. I quoted him again just a few days ago.